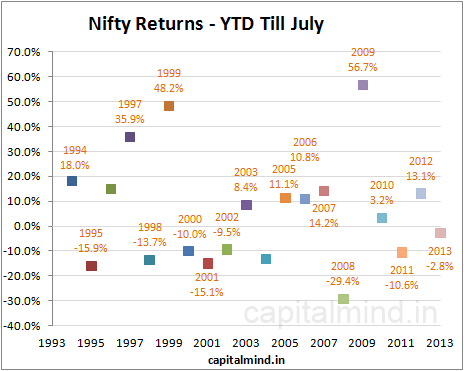 July ends with a –1.7% return on the Nifty and it is the first time since 2001 that we have had a negative June followed by a negative July. 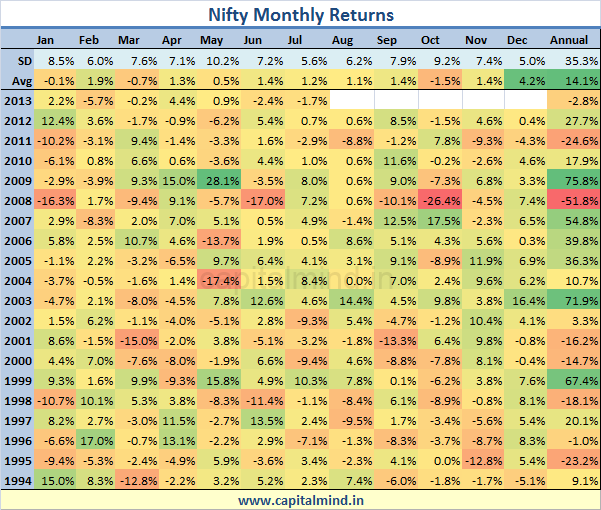 This is not huge – the aggregate fall is less than 5% – but it does take the Nifty into a –2.8% number for the year. The Sensex fell only 0.3%, the difference being the relative weights of stocks in the indexes, plus the fact that the Sensex has 30 stocks while the Nifty has 50. Where does the index go in August? 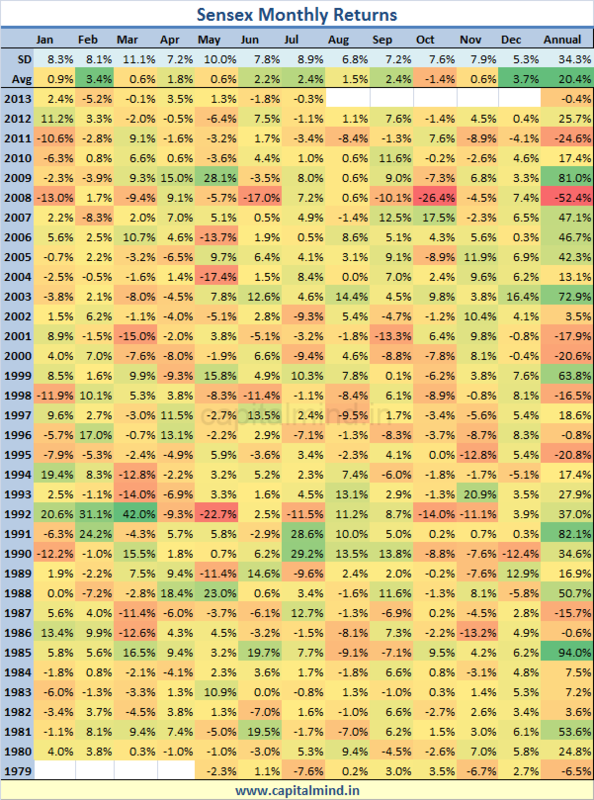 Since 2000, we have seen only three negative Augusts (2001, 2007 and 2011), and the remaining nine are positive. Given the liquidity squeeze, expect more negative moves – or, is there something the government is planning that will help the markets?